adds (~ minus 13dB) "Mixing Gainers" to all but the selected track to pull down the volume, so you can focus on the current track but keep it in context with the rest of your song. This allows you to focus in on transients /EQ/ delay decisions with less masking from the other tracks. -The tool updates/ auto solos, as you navigate around tracks. 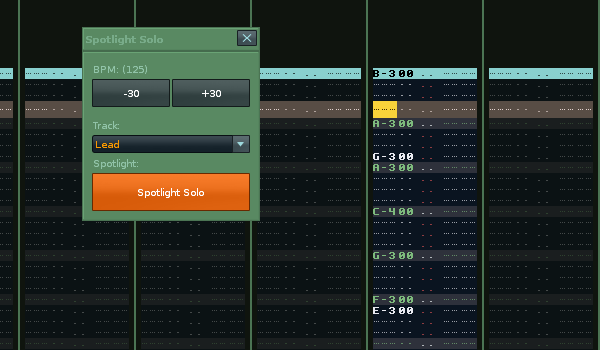 --added shortcut "Spotlight Solo Start Active + Toggle Solo"